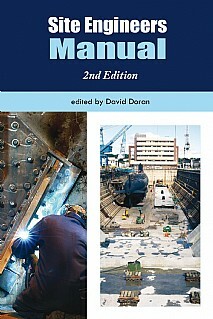 The new edition of this book builds on the highly successful first edition and includes a new chapter dealing with glass, a thorough update of the health and safety chapter, and an additional section providing information on the management of demolition projects, plus additional illustrations throughout the book. The book remains a compendium of valuable practical engineering experience contributing to good working practice. It is a proven aide-mémoire and comprehensive handbook providing best practical guidance for engineers on site and the ideal primer and reference for students who require a broad guide to all aspects of engineering on site. All stages of construction are covered from receipt of materials to completion of the finished project. The construction sequence from setting out and excavation to erection and final completion is followed and important aspects of planning, health, safety and quality are explained. The book is packed with useful information, guidance, checklists and leads on topics from construction plant, setting out and earthworks to masonry, steelwork and timber - not forgetting the weather. This practical handbook will be of immense value to experienced engineers in construction and building, civil and structural engineering including all site managers, resident engineers and designers involved with construction projects, whatever the context. It provides the ideal first reference on the subject for students and young engineers in civil engineering and construction.